for the past two years, i've ordered a custom cake for the baby's birthday parties. both times = vegan. both times = natural sweetener (they have been for a baby, after all). both time = delicious. where did i order these lovely creations, you ask? from the amazing libby of chicago custom cakes. 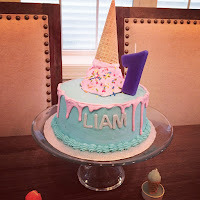 here's a bit about what libby does : "custom designed special occasion cakes ... from birthdays to weddings, showers to baptisms - let our cakes be a part of your celebration! ... each cake i make & decorate is unique, based on my design consultation with the client." i can 100% confirm this. 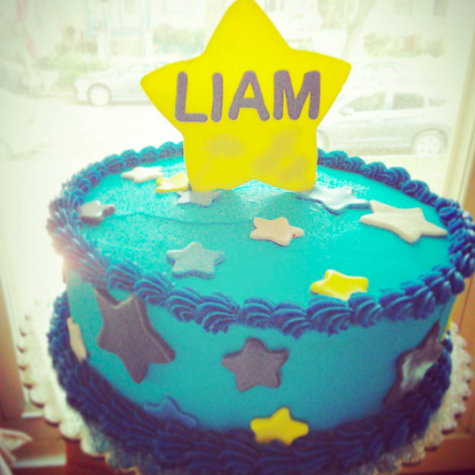 first pic is mine, second pic is from the chicago custom cakes instagram. how adorable are both of these cakes?! also ... if you do take a peek at the ig, you'll see some major skill in several beautiful cakes that are much more exciting than these two. full disclosure, this one isn't vegan. but it does show you just how awesome libby is. so if you're looking for a legitimately delicious vegan cake (or not vegan! ), definitely contact chicago custom cakes. i promise you won't be disappointed.